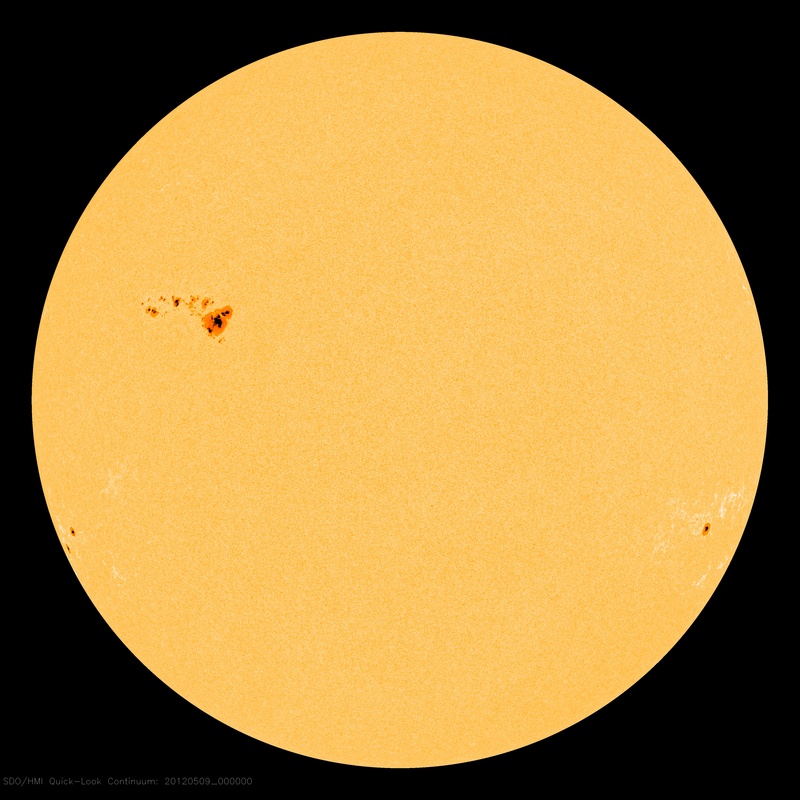 A huge sunspot group designated AR1476 (upper-left in the image above) has emerged from the Sun’s limb and is rotating around to an Earth-facing position. Solar experts are watching solar activity especially close. From SpaceWeather.com: “Huge sunspot AR1476 is crackling with M-class solar flares and appears to be on the verge of producing something even stronger. The sunspot’s ‘beta-gamma-delta’ magnetic field harbors energy for X-class flares, the most powerful kind.” Skies over Northeastern Ohio are expected to clear out over the next couple of days perhaps allowing amateurs daytime observing opportunities and nighttime aurora hopes. Our Sun is increasingly active as it runs on toward “Solar Max” so we can be sure we will have plenty more reports of this nature as the cycle progresses.